The Beacon Museum is a finalist in the 2015 Cumbria Tourism Awards, just two months after receiving a VisitEngland Welcome Accolade. The Beacon Museum in Whitehaven is in the final three for the Large Visitor Attraction of the Year, sponsored by Burnetts Solicitors. Organisers of the annual event, Cumbria Tourism said the quality of entries continues to rise, resulting in an unprecedented number of shortlisted businesses for 2015. The Cumbria Tourism Awards celebrate the best Cumbria has to offer and are now in their 13th year. Cumbria’s tourism businesses, and the talented individuals behind them, drive a visitor economy worth over £2 billion. Their achievements, hard work and dedication are worthy of recognition. Cumbria offers ever increasing levels of quality and service to the 15 million annual visitors and the Cumbria Tourism Awards recognise those businesses offering excellence and innovation in their product, service, welcome, marketing and sustainable practices. Winners for the majority of categories from the Cumbria Tourism Awards will go on to represent the county at the Visit England Awards for Excellence in 2016. The other two large attraction finalists are Grizedale Forest and the Ravenglass & Eskdale Railway. The winners will be announced at a black tie finale to be held on Tuesday 16 June at the Castle Green Hotel, Kendal. The Beacon Museum was officially reopened by Copeland Borough Council in May 2014 after a major redevelopment which means that not only does it delve into the fascinating history of Copeland, but it now also features the story of Sellafield - the most iconic nuclear site in the world. The new Sellafield Story gallery was officially opened by Professor Brian Cox and Sandip Verma. Baroness Verma is Parliamentary Under Secretary of State for Energy and Climate Change, and is responsible for the business of the Department of Energy & Climate Change in the House of Lords. 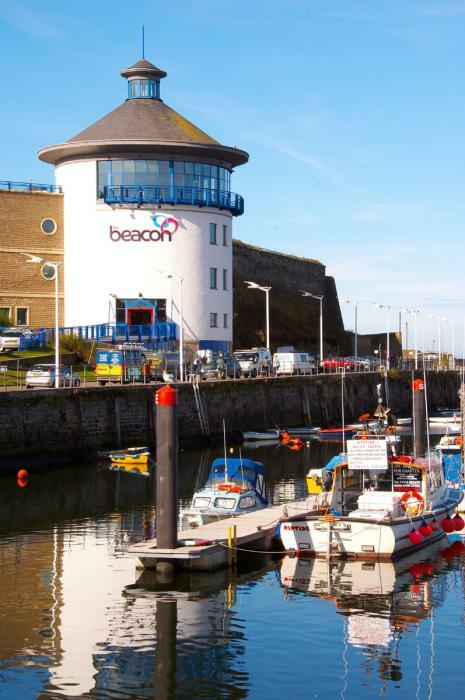 Elizabeth Kwasnik, Beacon Museum Director said: “This is a great honour for the Beacon Museum to be a finalist and a credit to the great team we have working here in Whitehaven. As well as our exhibits and interactive family attractions, we also have a number of visiting exhibitions including internationally acclaimed artists. For further information about any of the museum’s upcoming events call 01946 592302 or visit www.thebeacon-whitehaven.co.uk.